The reader's choice poll now exits the short season leagues and dives into the full season affiliates. First up for the full season affiliates is the Bowling Green Hot Rods. Its up to you the reader to tell us who you think is the most valuable hitter and pitcher for the Hot Rods this season. The winner of this round will join the winners from the other affiliates in a final vote for most valuable players in the Rays minor league system. The poll will run for three days and you can only vote once. The roster is comprised of players who played the majority of their 2011 games with the Hot Rods. 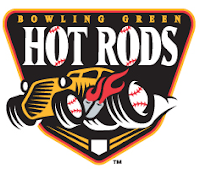 Voting begins now for the RP Reader's Choice Player of the Year for the Bowling Green Hot Rods and will run until 6pm EDT on Friday. That was an error in the listing. He will be omitted from the results.